Full Metal Mountain 2016 will take place in Nassfeld, Austria on 28 March 2016 – 03 April 2016. Sabaton, Accept and Gamma Ray are among the bands that will perform at the Full Metal Mountain 2016 festival. Wacken Open Air 2014 will take place in Wacken, Germany on Thursday 31 July 2014 – Saturday 02 August 2014. 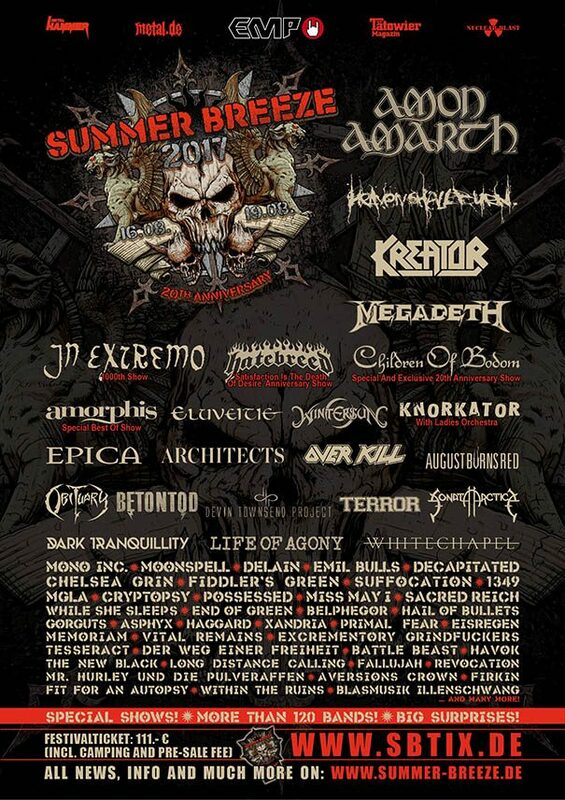 Emperor, King Diamond and Amon Amarth are among the bands that will perform at the Wacken Open Air 2014 festival.